Raking up the issue of fishermen, Tamil Nadu Chief Minister Jayalalithaa has said the situation at sea remains "precarious" due to the Sri Lankan Navy's "offensive acts", despite repeated appeals to the Centre to ensure Indian fishermen's safety. In a letter to Prime Minister Narendra Modi, Jayalalithaa referred to the arrest of four Indian fishermen who had ventured from Rameswaram, on 5 June and pointed out that this was the third such incident since 31 May. A total of 15 fishermen and 91 boats were now under the custody of the island government, she said, while seeking PM Modi's intervention to secure their release. The Chief Minister said she had written to him on many occasions, addressing the "repeated instances of abduction and apprehension of innocent Indian fishermen" belonging to the coastal districts of Tamil Nadu by the Lankan Navy while eking out their livelihood in their traditional fishing waters. 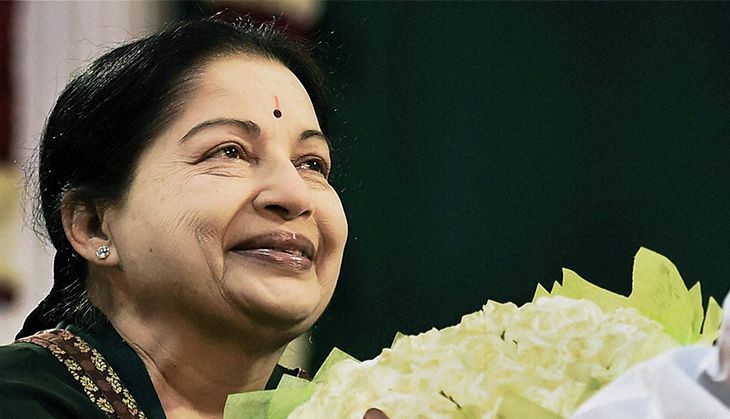 In the letter dated 6 June, which was released by the state government today, CM Jayalalithaa said she has been requesting the Centre to 'mount' a strong diplomatic initiative to uphold the rights and interests of Indian fishermen from Tamil Nadu. "In spite of my repeated appeals to ensure the safety and security of our innocent fishermen and to devise a permanent solution to this sensitive livelihood issue, the situation at sea remains precarious with the continued offensive acts of the Sri Lankan Navy," she said. Jayalalithaa requested PM Modi to direct the Ministry of External Affairs "to use diplomatic channels to ensure that our fishermen are allowed to peacefully pursue their livelihood in their traditional fishing waters." She added that the "unconstitutional ceding of Katchatheevu by the agreements of 1974 and 1976 is central to this problem". "The Sri Lankan strategy of not releasing the fishing boats, the main source of livelihood of the poor fishermen, is further aggravating the situation," she said. While seven fishermen were arrested by the Lankan Navy on 31 May, four others were arrested on 2 June following which Jayalalithaa sought PM Modi's intervention for their release. READ NEXT >> Why is PM Modi's visit to Washington significant for Indo-US ties?